Michael has a particular love for ambient, floating, etheric sounds and compositions in music. He spent much of his early years dreaming about the Cosmos and his place in the Universe. This led him to gravitate away from the pop music culture of the time (the 70's), towards bands and musicians that were experimenting with electronic music. Here he found that some of the music both uplifted and inspired, taking him on a relaxing, soulful journey. His keen interest in science & astronomy led to studying science at the University of Melbourne, after which ventured into his own musical compositions. In summary Michael's musical journey has been about expressing the magnificence of the cosmos through ambient, subtle & relaxing compositions. For over 20 years the feedback about his music has centred around people journeying 'beyond' their own world and immediate life, to within the deeper universe of the self. The stars, the galaxies, the infinity of space and subtle nature of the living world are represented warmly and lovingly in Michael's music. First let me say thank you once again for your music. In some twenty five years of teaching and private practice, I have found your work to be the most profoundly healing and relaxing music I have ever used." Michael's music is the most beautiful, healing music I have ever experienced. It touches the essence of one's feelings, of one's being - where no words can explain. "I would like to thank you for bringing your music into the world, as it has been profoundly inspiring & healing for me"
I love to use Michael Wild's music when massaging clients. It allows the client to relax into their own peaceful space and it allows me to move into a healing space where the healing energy can flow freely.."
Imagine watching the heavens through a giant telescope observing the stars, planets, the hues. Then suddenly your transported in to the astral world. That's the feeling I get listening to Michael Wild's Beyond Worlds. One of the better CD's that I have heard in a long time." After listening to your latest CD, it confirmed my belief that your music takes you to the outer universe, yet at the same time it takes you (as one of your track titles states) to the 'Inner Universe' of the Self. Beyond World's is a remarkable collection of beautiful ambient pieces which are soft, relaxing, gentle and inspirational. Each track is a delight to the ear and soothing to the soul. The album takes the listener on a journey beyond the boundaries of space and time." Please allow me to thank you for your personal contribution to the relaxation music scene. As a teacher of Astrology & Meditation I have found many music pieces excellent for relaxation, however it has been your music which has truly filled the criteria of being gentle and tranquil enough to quickly settle clients down to a peaceful state of slow and relaxed breathing." 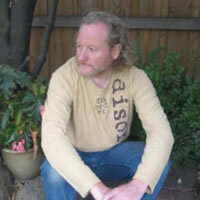 Michael is a master of creating 'free flowing' ambient music. I've heard enough albums over the last 8 years to say that Michael is producing some of the best contemporary relaxation music in the world." Last year I bought your album 'STARDREAMS' which has to be one of the finest Australian ambient recordings I've yet heard. There's an essence to your music that is to me pure spirit; I must admit that on one occasion it even moved me to tears. Your ability to draw from such a deep musical well is a precious gift, may you never lose it." Thank you, Michael, for sending your music out into the world. It is a beautiful gift to others. I've loved the sound of your music since I first heard it and recently used it in seminar on the inner self on the Gold Coast, with great results. Thank you for your wonderful CD, Beyond Worlds which has become a favourite of with me and my reiki friends. I play it almost every day & recently took it to France where it was noticed every time I put it on. Everyone wants one."